"Architecture matters" is the point that the people behind the annual Anthology Architecture and Design Festival want to drive home this year, particularly now that infrastructure projects seem to be rising everywhere - a phenomenon that has been bolstered further by the Philippine government's "Build, Build, Build" imperative. Indeed, Impact Architecture, the theme of this year's festival, is centered on the relevance of architecture and urban design throughout the world, but most especially on the daily lives of Filipinos living in the Greater Manila Area. As such, it means to focus on how architects can inspire a design-led approach with impactful value to create and grow better cities. Likewise, it aims to encourage the use of creativity and impagination to catalyse urban development, social inclusion, and cultural vibrancy - a key point in the Philippines in light of the way many historically important structures have been demolished in recent years to make way for residential blocks or commercial structures. As it brings together leading local and foreign architects, urban planners from across the globe, and even students of architecture and design, the three-day festival serves as a platform for increasing awareness about the importance of architecture in the modern developmental context though a series of lectures, panel discussions, and competitions. It is, essentially, a fun yet enlightening way of exchanging relevant industry information and gaining valuable insights for both professionals and novices. This year's keynote speakers at the festival are Qingyun Ma, the former dean of the School of Architecture at the University of Southern California and founder of the Chinese architectural firm MADA spam; German urbanist Ole Scheeren, principal architect of Buro Ole Scheeren and the architect behind the pixel-inspired MahaNakhon building in Bangkok; and Aaron Betsky, renowned author and current dean of the School of Architecture at Taliesin. As festival director Rebecca Plaza, founder and managing director of Plaza + Partners Inc, puts it: "We aim to bring global ideas to the local context in the hopes of building better future-ready cities." 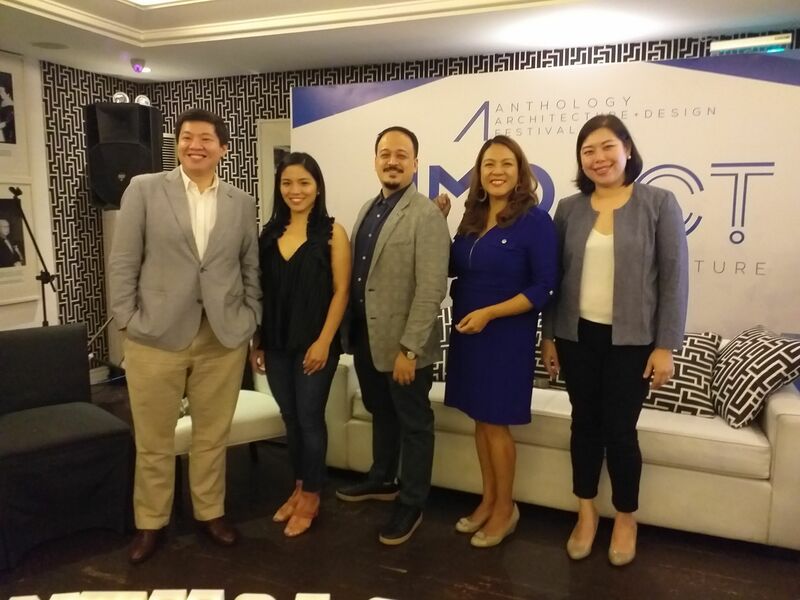 Anthology Fest 2019 is slated for 15 to 17 February 2019 at Fort Santiago in Intramuros, Manila. It is presented by Plaza + Parners Inc, WTA Architecture + Design Studio, Manila Metro, and Hafele, in partnership with the City Government of Manila, the Intramuros Administration, the Embassy of Denmark, and the Embassy of Spain. For more information, visit the official festival site.